I thank you, our readers, for picking up this issue of RochesterWomen magazine. I appreciate you picking up each issue of RochesterWomen magazine and taking the time to read. Thank you for shopping with our advertisers (or being one). 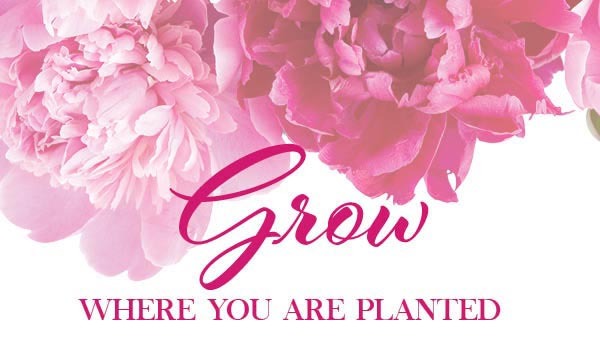 Thank you for the great ideas you share to truly make RochesterWomen your magazine, a place where you connect with each other and the community. Thank you to our generous advertisers for investing in RochesterWomen magazine. We hope you see customers flooding your doors, and if you don’t measure your advertising that way, think about the women (and girls) who benefit from each issue of RochesterWomen magazine because of your support. Thank you to our marketing account representatives, graphic designers, photographers, writers and distributors. RochesterWomen magazine is your work of art. Your skills are appreciated. This entry was posted in From the Editor on November 1, 2018 by Jorrie Johnson. I’VE BEEN RESEARCHING AND THINKING ABOUT WOMEN’S EMPOWERMENT. I FOUND PAPERS PUBLISHED ABOUT EMPOWERING WOMEN GLOBALLY AND NATIONALLY. LOCALLY, I HAVE SEEN MARCHES, MEETINGS AND THE LOCAL #USTOO MULTIMEDIA ARTS EVENT. ROCHESTERWOMEN HOSTED OUR OWN WOMEN’S EMPOWERMENT (WE) EVENT FOR WOMEN ENTREPRENEURS AT THE END OF JULY. WE WILL BE CO-SPONSORING WOMEN IN BUSINESS EVENTS (PAGE 26). This entry was posted in From the Editor on September 7, 2018 by Jorrie Johnson. I recently traveled to St. Croix, U.S. Virgin Islands as a part of the first Adult and Continuing Education travel seminar through Winona State University. 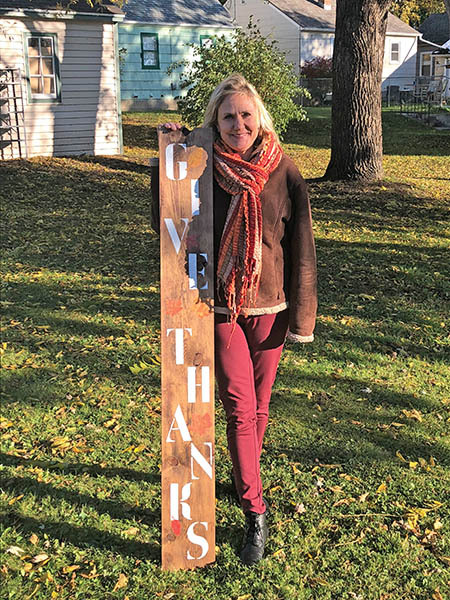 Dr. Tamara Berg, director of Women’s and Gender Studies at Winona State University, organized the trip based on the course she has been teaching for more than 12 years. She has developed invaluable connections on St. Croix to help students—and now voluntourists—immerse themselves in the history, culture and tropical island lifestyle. While hiking through the forest we learned about the plant-life as well as the history of enslaved African laborers from St. Croix ecologist Olasee Davis. Mistreatment of African slaves in the Caribbean islands occurred concurrently with indigenous people of our area being forced off their land. Emancipation of the Caribbean islands began in the early 1800s and not until July 3, 1878, on St. Croix. In this issue of Rochester Women magazine, you can learn more about Prairie Island Mdewakanton Dakota history (page 19). It is our privilege to share their story and tell you more about their successful business known as the “Island.” These days Treasure Island is much more than a casino, it’s a place for the whole family to get-away and have fun not-so-far-away. July finds us at the tail end of strawberry season in southeastern Minnesota, while midsummer berries will arrive soon. Despite her loss of memory due to Alzheimer’s, my grandma would tell us about how she loved to eat fresh-picked raspberries with ice cream as a child in Michigan. I remember going to Bridgeman’s as a child and ordering a malt or shake in a tall glass, served with whipped cream and a cherry on top. Read about and make some of your own berries and ice cream memories (page 27). Summer is a busy time of year as you will see in this issue of Rochester Women with garden parties, tours, fairs (page 31) and festivals (page 38). I hope you do something that makes you happy each and every day like we Rochester Women do (page 22). Try to stay cool during the dog days of summer. This entry was posted in From the Editor on July 1, 2018 by JORRIE JOHNSON. I am passionate about taking care of myself by making time to exercise, eating healthy and getting enough sleep. I am also passionate about my financial security, so I work a full-time day job and manage RochesterWomen magazine. I am passionate about being a good mom, spending time with my 12-year-old son on a daily basis and my college-aged children as often as I can. I am also passionate about maintaining relationships with my extended family and friends. When I choose in favor of my passions, I choose with intention for less tension. However, there are days that my passions come in conflict with each other and in those instances, what rises to the top is, of course, my role as a mom. My son had the flu four times this winter, causing me stress. Fortunately, he is old enough to stay home alone while I worked, but what fell to the bottom of the list was taking care of myself. It’s the reality of motherhood, especially single motherhood. If you can relate to my passions and struggles, you will enjoy many of the articles we have gathered for you for this May/June Mother’s Day issue. We featured my friend Allison Loftus in the May/June 2017 issue, and this year she shares her creative writing and counseling skills with RochesterWomen magazine readers (page 11). Following is our I Am a Beautiful Rochester Woman story about Acasia Wegner, a young heart attack survivor and mother (page 13). Continue on through this issue for Mother’s Day gift ideas and brunch recipes (pages 24-25). On the cover of this issue is JoMarie Morris who, coincidentally, we featured in the first Spring issue of RochesterWomen magazine 18 years ago. “Climbing Up the Legal Ladder, law partner JoMarie Morris,” written by Amy Swain covered Morris’ single motherhood, law career and challenges she faced as a woman in a male-dominated field. Much has changed in the world since then and for Morris who is now heading the Jeremiah Program in Rochester, helping women and children in at-risk situations move ahead two generations at a time. All moms know there’s just not enough time in the day to take care of themselves some days, but I do encourage you to take some time for yourself this Mother’s Day and as often as you can. If you are a mom, thank you for putting so much of yourself into making someone else’s life better. You are appreciated. This entry was posted in From the Editor on April 26, 2018 by Jorrie Johnson. I have been thinking about what it was like 18 years ago when I started Rochester Women magazine, what has changed and what has stayed the same. Rochester Women magazine’s mission remains the same: Help area women connect with each other and the community. However, as a result of taking the Passion Test several times, we have redefined our purpose: Empower women to live passionately. You (our readers) and the world we live in have changed. The population of Rochester has increased by more than 25,500 since 2000. * The median age in Rochester has increased from 34.3 in 2000 to 35.4. There are now 32.6 percent more housing units in Rochester, and 44 percent of them have children under 18. In 2000 there were 2,883 female householders with no husband present. In 2017, there were 4,076 female householders, 66 percent with own children under the age of 18. Of the adult (over 18 years) population, 47.9 percent (40,438) are male and 52.1 percent (43,922) are female. This entry was posted in From the Editor on March 1, 2018 by Jorrie Johnson. Who do you love? What do you love? What do you love to do? In this January/February 2018 issue of Rochester Women magazine, delve into desires and passions of your heart. Read “The Passion Test” (page 10) and “Desire Mapping” (page 12). Last winter, for my soul and social life, I gathered a group of women from church at Dunn Brothers Coffee one evening a month. I looked forward to getting out with other women for stimulating conversation, coffee or wine. (Yes, they serve wine at Dunn Brothers Coffee.) Developing a community of women is what I love doing with Rochester Women magazine as well. See “Community Begins with Coffee” (page 40). This entry was posted in From the Editor on January 1, 2018 by Jorrie Johnson. Our City of Rochester’s resolution to be a compassionate city was signed on September 18, 2017. On Sunday, October 22, 2017, “People of all faiths and cultures were invited to experience diverse practices of compassion for the purpose of weaving healing and peace in our fractured world.” It was gorgeous Sunday afternoon, with rays of sunshine lighting the auditorium at Assisi Heights. Young and old, men and women, police officers and citizens, students and teachers, African, Asian, Caucasian, Indian and American were gathered for discussions around compassion. It was a pleasure to be surrounded by so much hope and peace in one room. I lost a $50 Cub Foods gift card that my mom gave to my son for his birthday. I felt feelings of loss and disappointment. My 12-year-old son was silent as we walked, looking around on the ground, kicking the leaves hoping it was hiding underneath. He was really looking forward to going to the grocery store to buy whatever he wanted. I, too, was excited to have some extra funds to fill our cupboards with after-school snacks and maybe even a fine bottle of olive oil. This afternoon, I went to the grocery store to buy some ramen noodles (12 for $2.99) for after school snacks and supplies to make a huge crockpot of chili; however, I did not buy the olive oil. What I appreciate about today’s experience is being reminded of how it feels to want food, but not having the money. I am also reminded how forgiveness is a gift; he still loves me despite me losing his gift card. Beth Kosta and the crew at Community Food Response don’t ask questions when someone is in need of food (see page 21). They collect food from area restaurants to give without judgment. I have a couple of friends who volunteer with CFR regularly. In fact, Danielle Teal invited me to volunteer with her at CFR one Monday evening a few years ago. Times like those, when I am making a difference, I feel really good about myself. I love helping other people, and it makes me realize I do have so much and so much to offer. You, too, can make a difference in the lives other others through Community Food Response, The Salvation Army, United Way of Olmsted County, your faith community or service organization. In this Issue of Rochester Women magazine, we provide some ways to help you enjoy the holidays. When you are looking for the right holiday outfit, check out Samantha Erickson’s guide to surviving holiday fashion (page 15). If you’re not sure what to give someone this holiday season, read my holiday gift making and buying guide (pages 16-17). As you gather with your friends and family over the holiday season, remember to keep it simple. Try Emily Watkin’s beef brisket and punch recipes (page 28). We hope you’ll join us on the trolley for Ladies Day Out to Olde Fashioned Christmas in Mantorville on Saturday, December 2 (see page 48). May you enjoy good friends and good cheer through the rest of this year! This entry was posted in From the Editor on November 1, 2017 by By Jorrie Johnson. As I floated on a tube in the lazy river at America’s largest waterpark one Sunday afternoon in August, I pondered what spirituality means to me. At that moment, I was at peace—with my boys laughing and enjoying each other’s company, with the warm sun drying us off after splashing our way down the water slides, listening to and kicking our feet in the water. I was connected with people I love, the earth and universe. That was spiritual, but spirituality is deeper. It is what gives us hope when a friend or loved one is diagnosed with a life-threatening disease, or we make a mistake and we desire forgiveness from someone else or even ourselves, or we need to know we are loved no matter what. Spirituality comes from deep within ourselves and is expressed through various forms. Our homes are an extension of ourselves, giving us a place to rest and relax, to feel safe and secure and, ultimately, to live, to be and to become. We have a special section for the Rochester Area Builders Fall Showcase of Homes and Remodelers Tour (pages 13–21) in this issue. We hope you will tour some new and remodeled homes for ideas for your own home. This entry was posted in From the Editor on September 5, 2017 by Jorrie Johnson.